Welcome all! Have your beverage of choice in hand? Better gulp it quick… because once you glean over these beauties, you just may be inclined to jump out of your chair and dash for your junk heap! Or better yet… go get new stuff! Who else is totally as inspired as a curious cat by anything new in the house? 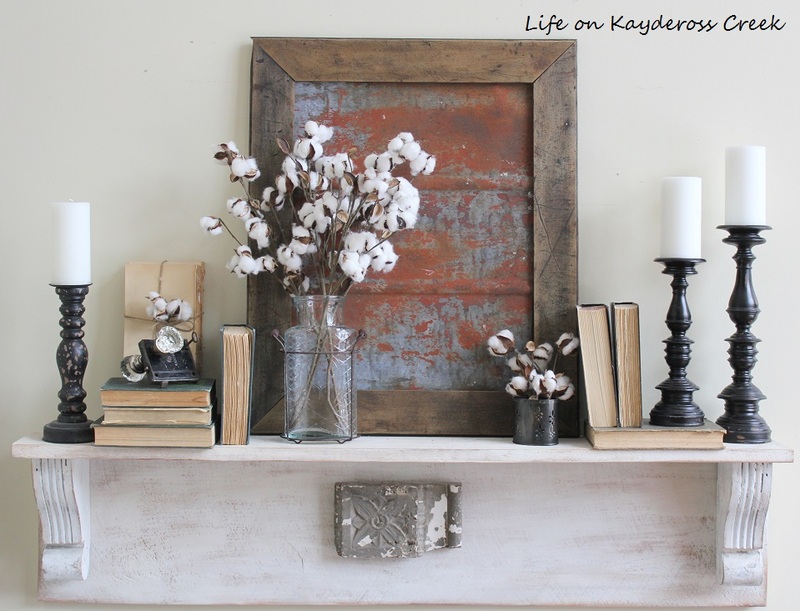 * Encouraged by a reader’s visit, I did a little revamping of the house to pretty things up. This old signs coat hook area was first hit, and I love it even more now! P.S. need a push to create? Invite a friend over first… heh. Beautifully organically rustically cool. 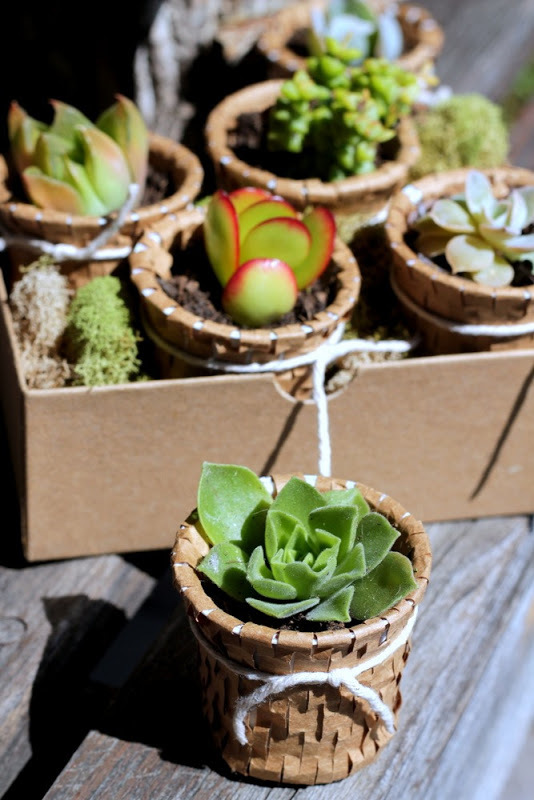 Wouldn’t these make great hostess gifts? 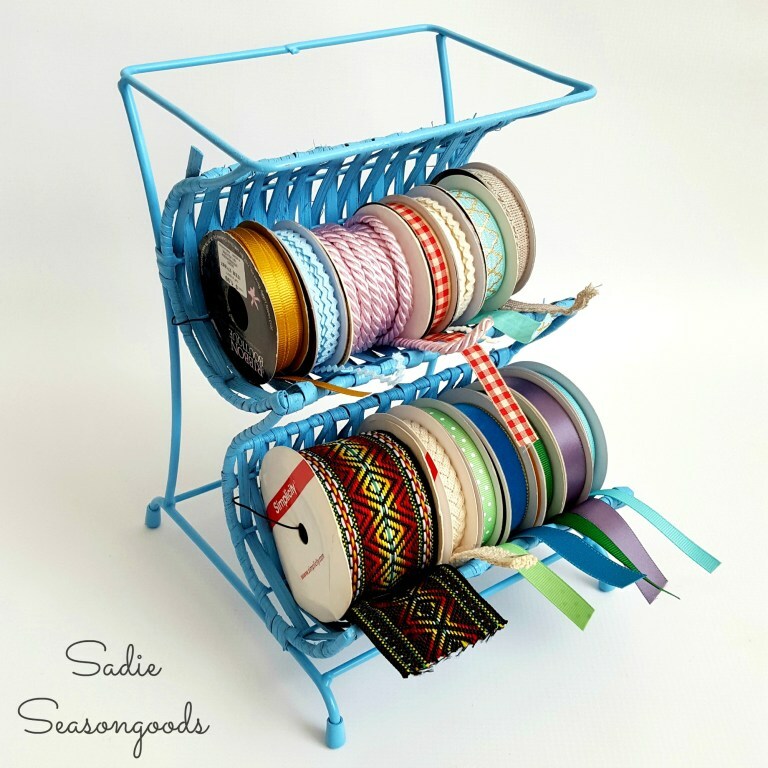 Then after you’ve moved on to a glass of finished wine, you can do this to your ribbon! How clever! Love how compact it is, and easy to carry around. 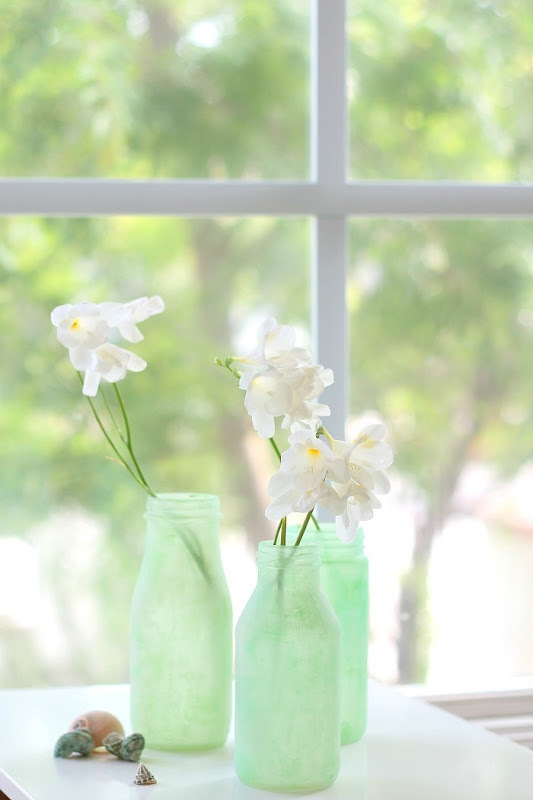 If you love sea glass as much as I do, maybe it’s time to turn our bottles into it too, like these lovely renditions. Oh my goodness… the colour! 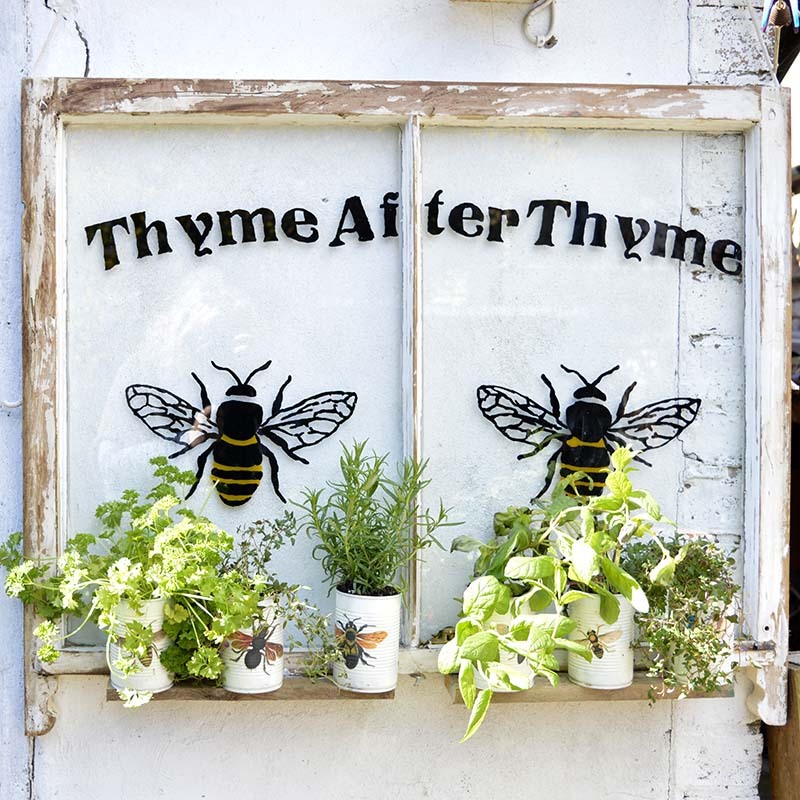 Whether flowers or herbs is your thing, setting them in front of a lettered up old window makes such a quaint statement! Who knew plants could become even more beautiful in just the right setting? This clever hack will have you knocking back soda / pop in no time! 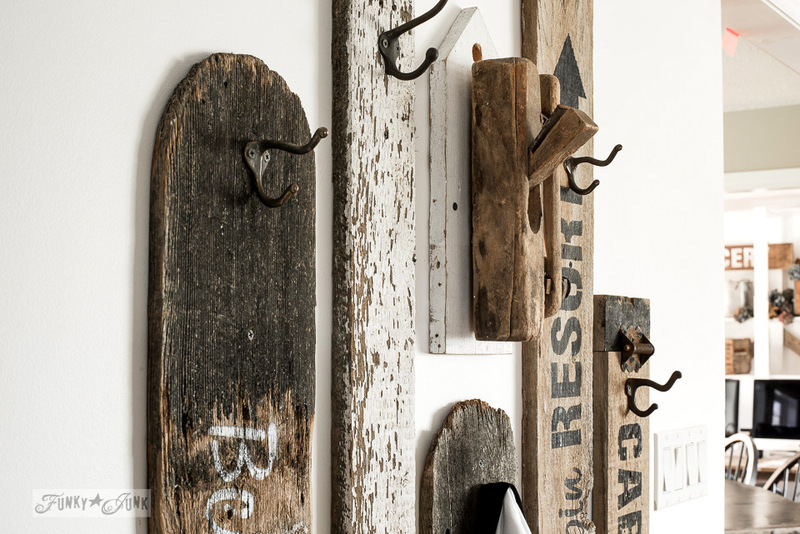 Wait till you see these distressed and placed on a project… very cool! If your home isn’t one that suits outdoor window boxes, perhaps this is the exact fix you are looking for. Make your own, anywhere you wish, as live gorgeous wall art! Wouldn’t this be pretty on the patio or near the front door? Or a GARDEN SHED…. my brain just popped. Making one! She had me at distressed metal. But turning it into art just upped the importance level of this beautiful piece! So, what did you make this past week? Link up NEW projects only in the FIRST link up. To upload the button, right click the button above, save to desktop, upload into your blog post like a photo, apply a no-follow attribute, and attach this post’s url as a link to the picture. 3. Only projects new to Party Junk please. 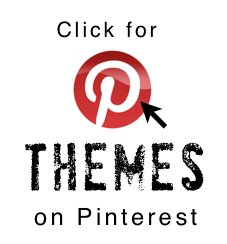 The themed linkup (if applicable) is an exception. 4. 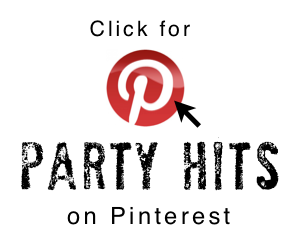 By linking up here, you’re cool with me featuring you on my blog, Pinterest, Twitter, FJI Facebook and I Love That Junk with a link back to you, or its own new LINK WIDGET with no additional permission required. Thanks Donna for PJ 326 DIY Salvaged Junk today. Great entryway changes. Enjoy our spring. Thank you for picking my window as one of your highlights. I’ve enjoyed reading your blog this week and I’m now looking forward to seeing what everyone else has been up to. Thank-you for my morning inspiration. 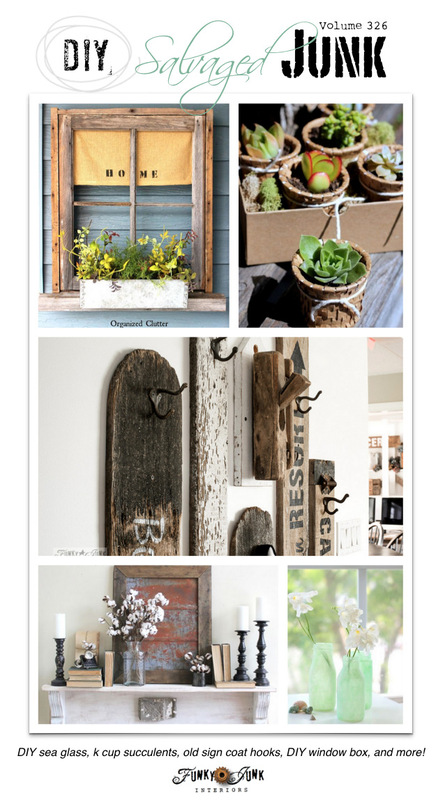 Lovin all the projects..the window…swoon…and the sea glass. 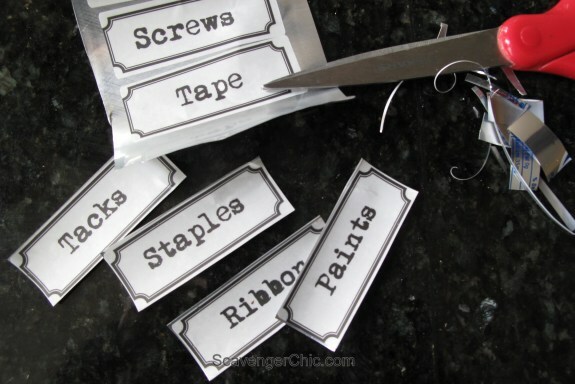 Perfect DIY for spring with all the spring flowers. Thank you for the inspiring weekend, Donna! Great ideas as always! Thank you for your inspiration! Hey Donna, thanks for the party!! Have a great weekend! 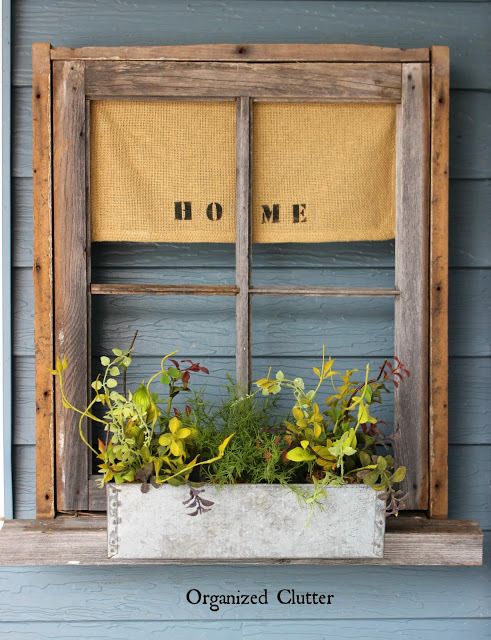 Here is a belated thank you for the feature of my weathered window frame flower box. Thanks!